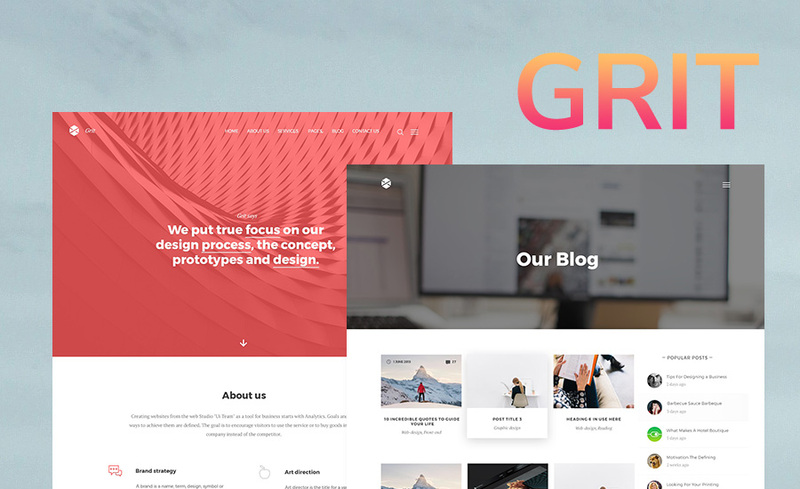 Grit is an exclusive and free HTML5 website template for creative agencies, portfolios, corporate business, designer studios and more. With responsive design and its unique homepage layout the template will make your website look good and perform better in search. The blog and portfolio pages will let you reach a global audience and engage with your site visitors through comments. Make your website accessible on multiple platforms, smartphones, tablets etc and give your visitors a better user experience. The template comes with homepage layout, blog and portfolio layout, page and blog post layouts so you get a multi purpose template. The style.css is commented and you will be able to change and add custom css without distractions.